Magnetic chip collectors and magnetic plugs are used to collect minerals and Ferro magnetic particles in transmissions or any other application where you need to collect metallic particles in any fluid. They are also widely called filter magnets. Sura Magnets are Scandinavia’s leading manufacturer of magnetic plugs and chip collectors to the vehicle, truck and hydraulic industry. 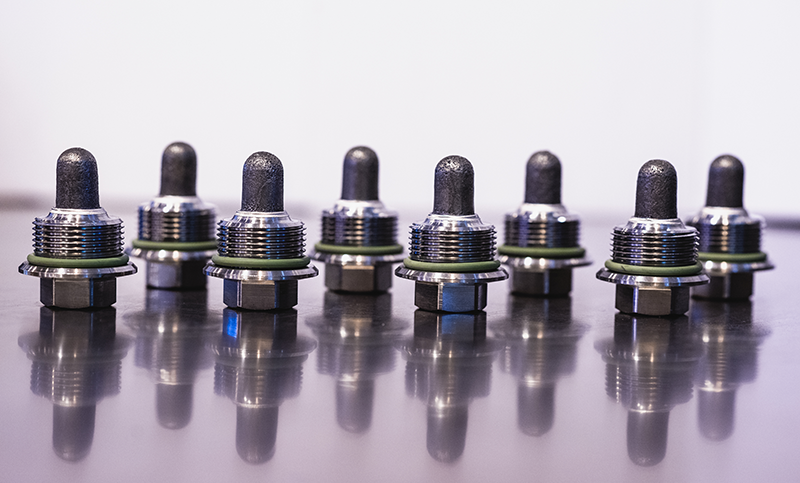 We develop and produce magnetic plugs to meet customer specifications and in accordance with the DIN standard. There are no standard sizes or design and we customize according to your application and demands, giving you the best performance cost efficiency as possible. A chip collector can be used as interchangeable part in heavy transmissions on trucks often as a screw with a magnet attached, or to transmissions for cars where there normally are assembled for life. Those magnets are normally a multi pole ring or square magnets in sintered or injection molded hard ferrite. For higher demands we can also design the chip collectors in NdFeB or SmCo.